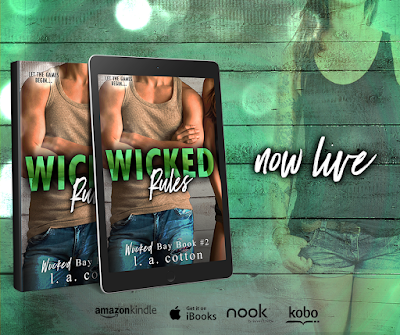 "Wicked Rules satisfied my angst-loving, drama-loving heart to the max. I absolutely loved it, and I can't wait for the next installment in this well-written series." ~ Siobhan Davis, USA Today Bestselling Author of the Kennedy Boys series. Lo Stone should be used to change by now. It's been her life for the last year, but how much can a girl take before the cracks begin to show? 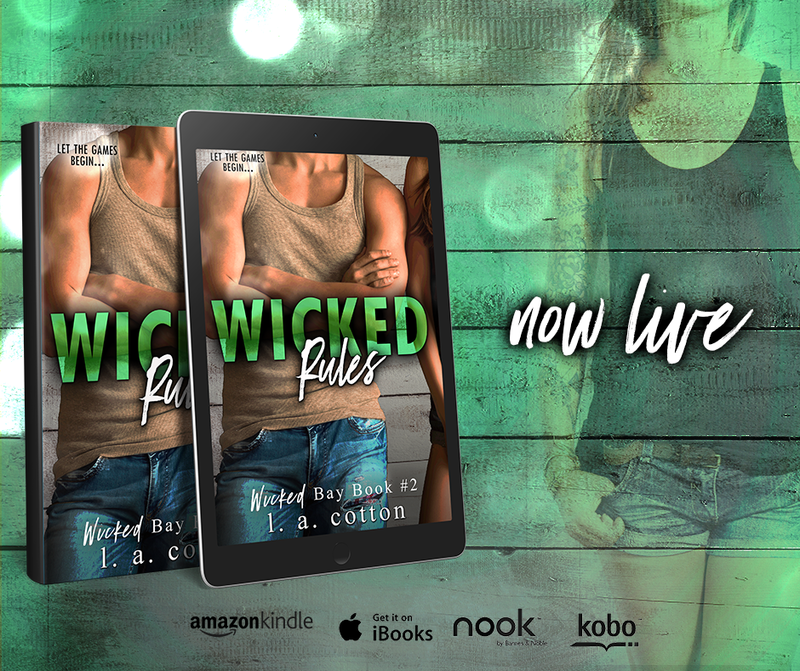 She knew being with Maverick wouldn't be easy, but she didnât anticipate her life in Wicked Bay becoming a game of deceit and lies. Maverick Prince risked everything for Lo, but it was worth it to see her smile. Only now he's painted a target on her back and he refuses to let that happen. The only way to protect her is to do what Prince's do bestâplay the game and stick to the rules. Home is a small town in the middle of England where she currently juggles being a full-time writer with being a mother/referee to two little people. In her spare time (and when sheâs not camped out in front of the laptop) youâll most likely find L A immersed in a book, escaping the chaos that is life.